HeidiSQL backup utilizes HeidiSQL, a free, fast and reliable toolkit designed for managing MySQL, MS SQL and PostgreSQL databases. HeidiSQL can completely replace the more difficult SQL admin tool called PHPMyAdmin. Unlike PHPMyAdmin utility, operating on the server side via Web-based browser interface, HeidiSQL is the full package with its own GUI. It is open-source and completely free for installing and using it anywhere for administering SQL database engines. HeidiSQL can control instances of MS SQL server, MySQL server or PostgreSQL server, providing an administrator with manual access to all aspects of database management available for these database server solutions (DBMS). The main problem of HeidiSQL backup operations is lack of any automation. To complete your set of instruments for database management, we recommend adding perfect SQL backup software, such as Handy Backup, to HeidiSQL. A system administrator can manage HeidiSQL backup database, restore it from backup, create, export and dump database, as well as view and delete any database content. Some instruments to work with SQL users are also added to HeidiSQL set of features. At other hand, HeidiSQL database backup and restore is not a universal solution, lacking an automation required for performing these actions on a regular basis. It is primary for manual managing, not for tuning or automating every SQL operation, including HeidiSQL backup. Big set of other options, such as encryption, running as Windows service and other. Clearly, for backing up SQL data, Handy Backup is much more convenient than HeidiSQL database backup. However, the might of these two solutions can be combined, not contested. Use HeidiSQL to manage your data manually and Handy Backup to automate data saving, to reach a peak of efficiency. If you have SQL databases to copy, you need Small Server edition. 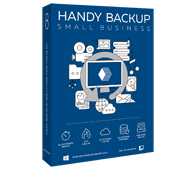 Try our small business backup software for 30 days for free! The main HeidiSQL alternative for MySQL is, of course, phpMyAdmin, the ever-popular MySQL administering utility. Like HeidiSQL, it lacks any automation; therefore, its functionality in manual mode makes it a most common tool for many MySQL, CMS and even website administrators. As typical backup alternatives for HeidiSQL, these are a lot of scripts and batches allowing downloading MySQL, PostgreSQL or MS SQL database copy to some different place. These scripts can be partly automated by using scheduling utilities like cron, but using scripts requires a lot of skills. As explained before, no such thing exists as Heidi SQL automatic backup. Backing up SQL databases using HeidiSQL is a simple sort of data export. This is no scheduled process presumed for performing HeidiSQL backup. All backup operations with HeidiSQL must be made manually. 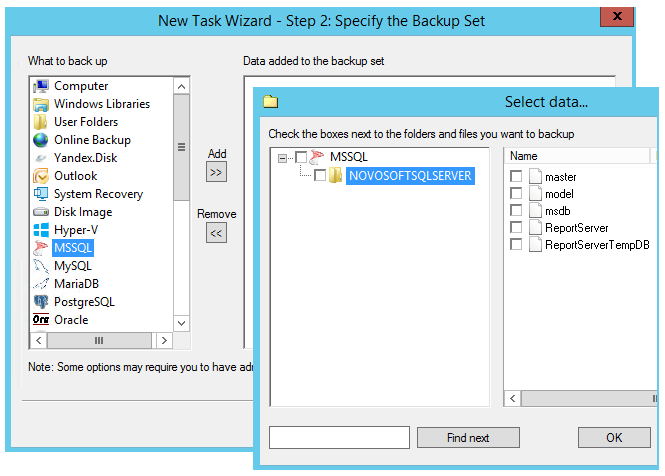 As an alternative, Handy Backup allows backing up MySQL, MS SQL and PostgreSQL data in automated mode, with task scheduling, cloud and hot backup, encryption, compression and other options. These features make Handy Backup a superior solution for database backup. Automation: Handy Backup will automatically find databases and tables on a selected server. Scheduling: You can set up your task to run at an exact time and with an exactly defined interval. Encryption: Use a built-in encryption tool or call an external program to encrypt your databases. Partial backup: Full, incremental, differential and mixed backup, as well as saving data versions.